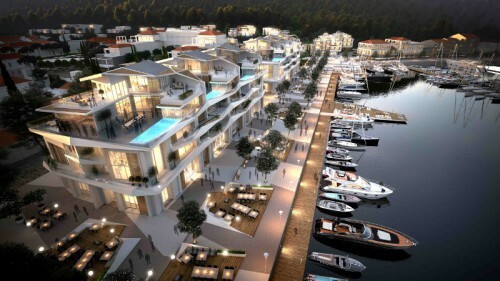 The €650 million luxury Portonovi Resort is located in the very heart of the Adriatic in Boka Bay, Montenegro. 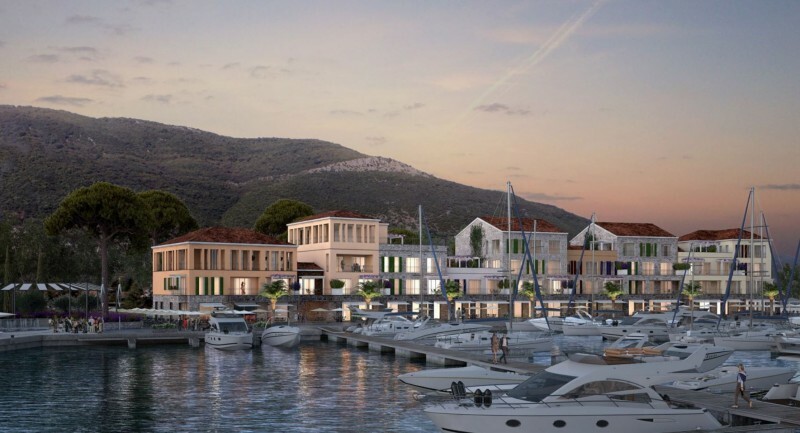 The long-awaited luxury Portonovi Resort Village has been completed by Marinetek. 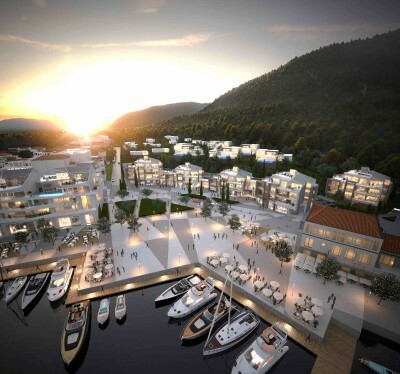 With around 275 homes, a high-class hotel, yacht club and – of course – the massive, 238-berth marina, this resort set amidst a landscape of scenic mountains and clean blue waters is less than an hour’s drive from international airports in Dubrovnik and Tivat. The actual marina required a broad range of technical solutions to cover a range of vessel sizes between 7 meters up to 70 meters. Gigayachts, up to 120 meters in length, can actually by design moor up on the outer fixed breakwater if needed. With potential storms and gusting winds of over 44 knots, the year-round marina used by resort residents and visiting superyachts needs to be protected from the environment at all times. To do this, Marinetek has installed a 5-meter-wide, 180-meter-long floating wave attenuator and secured it using SEAFLEX to ensure that this state-of-the-art installation is safely moored even in extreme weather. Due to the technical requirements of the project, SEAFLEX was early on decided to be the most suitable mooring option, or – as Marinetek themselves explain it on their website – “(…) and the Seaflex system required for anchoring all piers”. For more information about this project, please contact Boris Miškic, Marinetek NCP, boris.miskic@marinetek.net or visit the official website.